If you were born or grew up during the seventies, you might be familiar with one of the most popular milk brands in the country at that time. 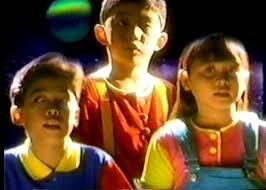 It was so well known as it was endorsed by one of the most popular child stars ever in Philippine movies. Unfortunately, Milkmaid, is no longer around or faded into oblivion the moment Nino Muhlach who endorsed this milk brand grew up or matured. The catch phrase of that advertisement was “grow tall little man.” And that phrase was repeated in the Milkmaid’s commercial jingle countless times. 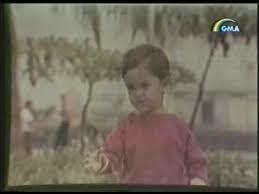 But the catch phrase did not prove to be prophetic as Nino Muhlach only grew in age but not in height. Thus, this was probably the reason why Milkmaid is no longer displayed in grocery shelves under the milk section. This brings to our attention now with Jiro Manio. You might need to be reminded that he was part of the gifted child commercial decades ago under the kinetic intelligence category. There was already an article published on the original gifted kids; Shaira Luna, James Flores, and Francis Galura. From these three former gifted kids endorser, we knew that drinking Promil will not help your child remain in the area of which they are gifted in the long run. Shaira Luna ended up as a professional photographer instead of being an expert on human anatomy as she was promoted in that advertisement then. James Flores ended up completing his Masters in Clinical Psychology instead of counting stars. 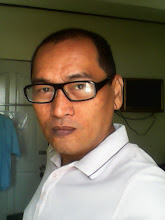 Only Francis Galura was able to continue his giftedness (a unique talent of making words become animated) as he ended up as publisher of stories. 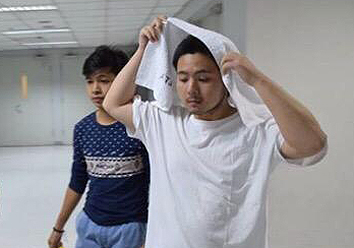 The case of Jiro Manio is another powerful proof that advertising claims do not really work at all as evidenced in the Nino Muhlach case and the other gifted kids of Promil. If you are going to search for the video which showed him in the advertisement, you will have a difficult time looking for it. In fact a Google search using the term “Promil Commercial Jiron Manio” under video category will give you negative results. But using the web category, you will find a philstar.com post about him and the advertisement. The Promil company must have realized that this Jiro Manio incident will affect their products and probably they might have already performed strategies that will help people avoid connecting Jiro Manio with Promil and the gifted child movement. The milk is not the problem here as growing up is more than drinking milk and eating the right kind of foods. It involves numerous other factors such as family, friends, relationships, communication and many others. It is unfortunate that another milk brand became a victim of personal development of their endorsers. More unfortunate is that Promil is bringing back the gifted child movement and here comes this Jiro Manio incident. You cannot blame parents for being doubtful with Promil as milk is quite expensive these days and milk companies should better be sure that their claims are indeed real.